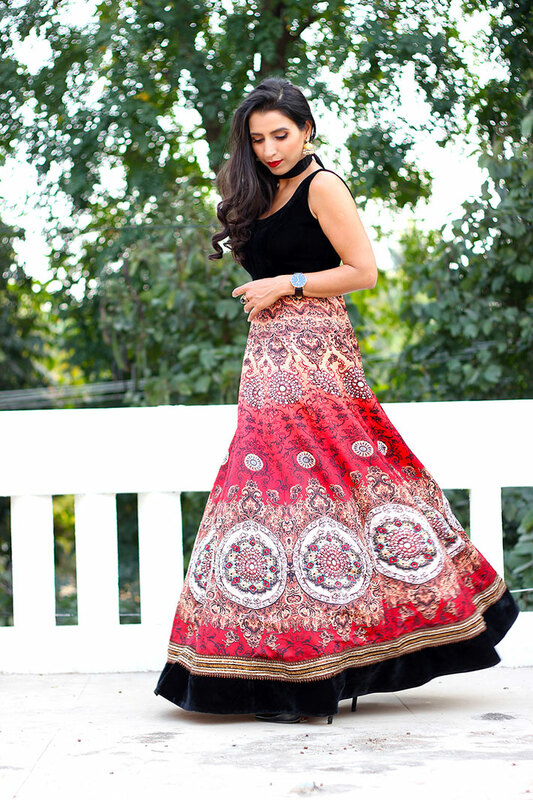 Incredible Indian takes pride in their saris and suits. They wear their clothing with such dignity that it releases an aura of confidence, making their outfits appear even more beautiful. The bold and vibrant colours stand out, and the sequins and sparkles glimmer in a grand and royal way. I am always heart for Indian fashion. 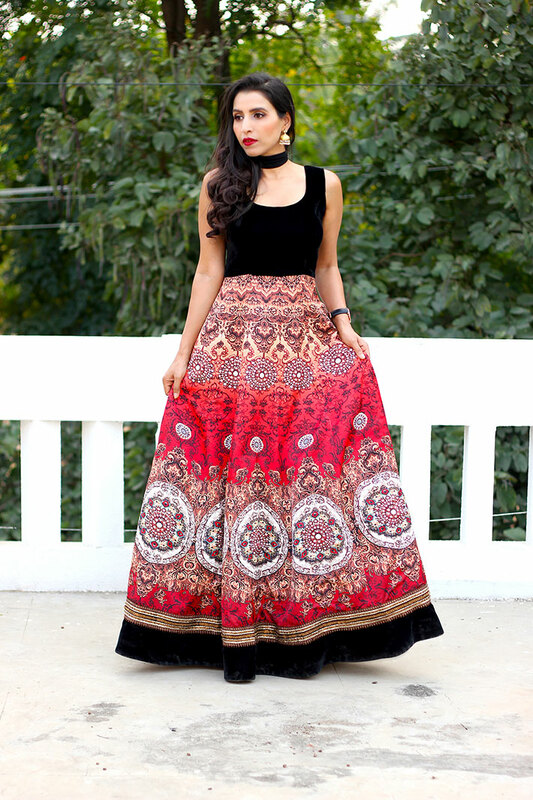 Personally I love Indian style of dress, as I feel it acts as a tribute to the colourful aspects of our culture. 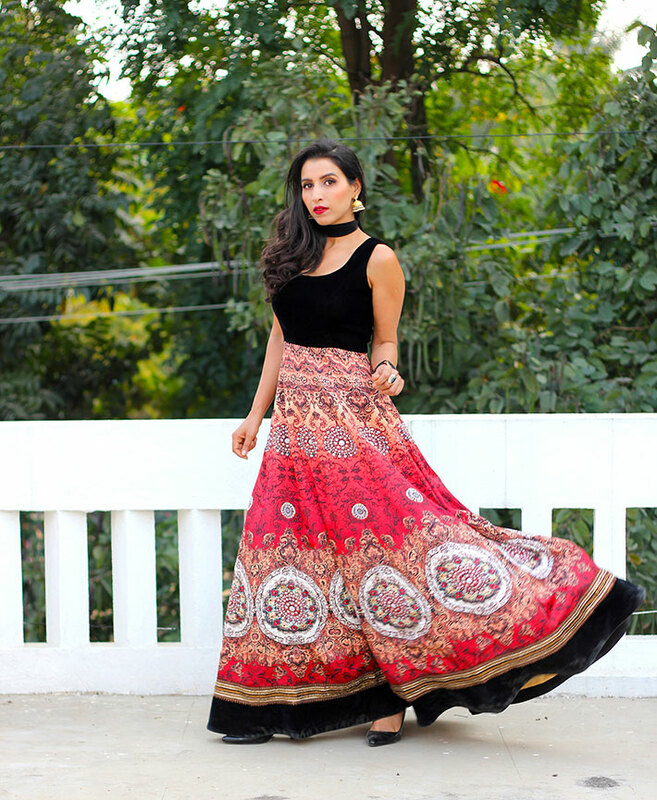 Indian fashion reveals more of an oriental glamour that is breathtaking and equally as eye-catching. One visit to ’The Attic Gray’ store and I became a huge fan. Given a chance, I would love to immerse in the fusion of colour and intricate details which ’The Attic Gray’ store has to offer !! I witnessed amazing variety of dress: saris, suits, salwars and duppatas, with bright and striking colours with jewels and gold detail present in every design. It is so impressive that designers take such care and pride in their creations. Adorned in a world of sparkles, glitter and sequins….I loved this Anarkali suit from the collection. Not only it incorporates layering and a mixture of textures in the composition, but also the beautiful colors fuchsia, orange, and bright red. 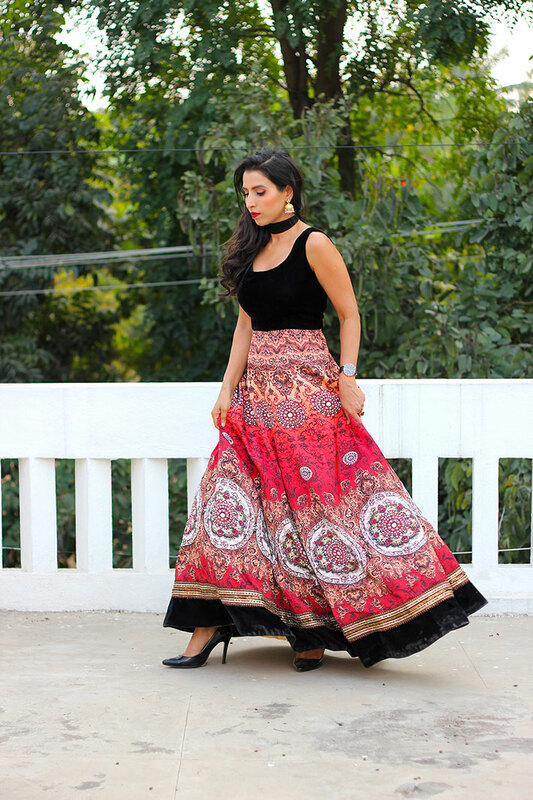 Nothing says Indian like a paisley or patola (double ikat) print, but you don't have to drown yourself in the print to make your point. 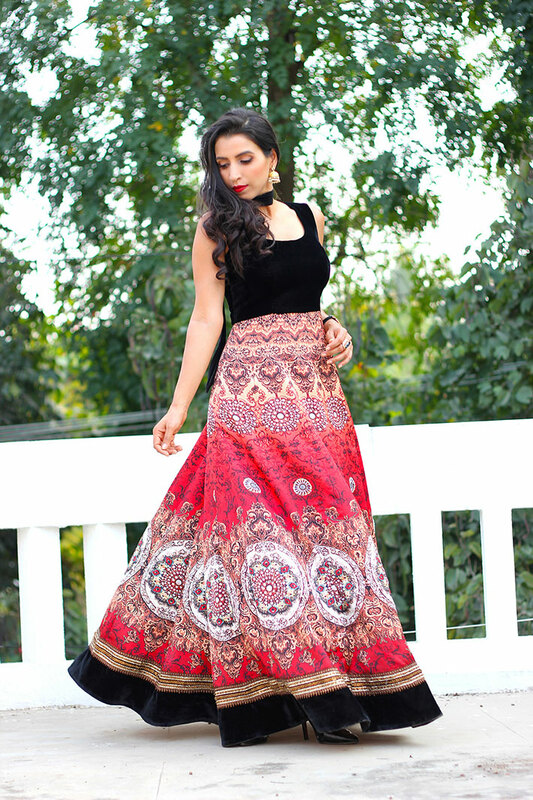 This outfit perfectly balanced the pattern with black velvet and let the print shine. When it come to accessories, think jhumkas, embroidered fuchsia handbag, or orange and emerald stone earrings. 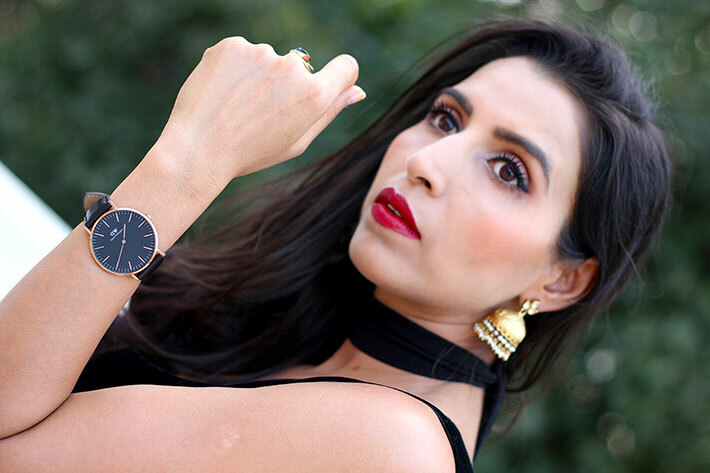 It's a fact, bangles or bracelets are the safest (and easiest) way to incorporate a little desi into your looks. 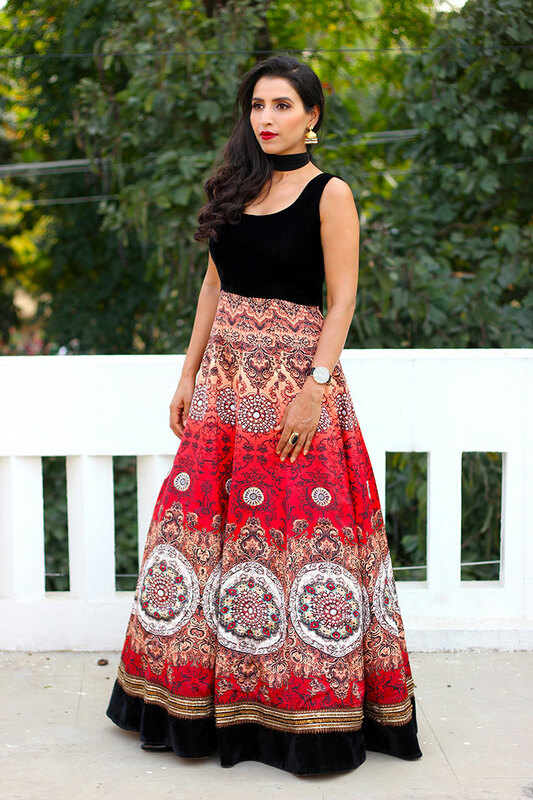 If you want to bring something more daring like a maang tika or baaju band into the mix, I would save it for evening looks. My only caveat for embellishments is, stick to one piece. 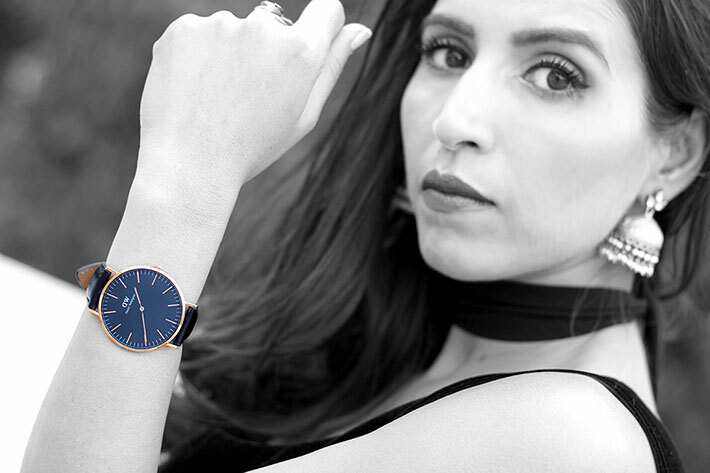 Don't over-crowd your look with too much bling. 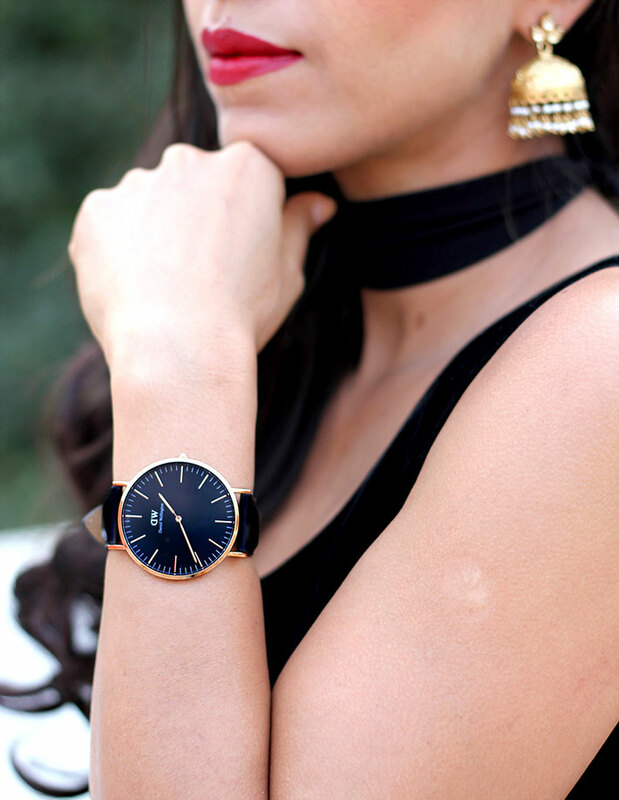 Hence, this timeless classic Daniel Wellington watch is my fav for this look.